Holly clings to Rachel in the wake of a shocking escalation. But to get to the dark heart of what’s happened and pull Georgia back from the brink, there’s one final twist to come. As Holly’s alliances shift and groups close ranks, she finds herself torn between relationships old and new, and unsure who - if anyone - she can trust. When a shock discovery makes Holly’s concerns a reality, Jude and her girls double down to protect Solasta. With Georgia acting odder than ever, Holly has to break ranks. 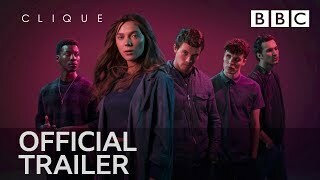 Currently you are able to watch "Clique" streaming on Hulu or buy it as download on Apple iTunes, Amazon Video.